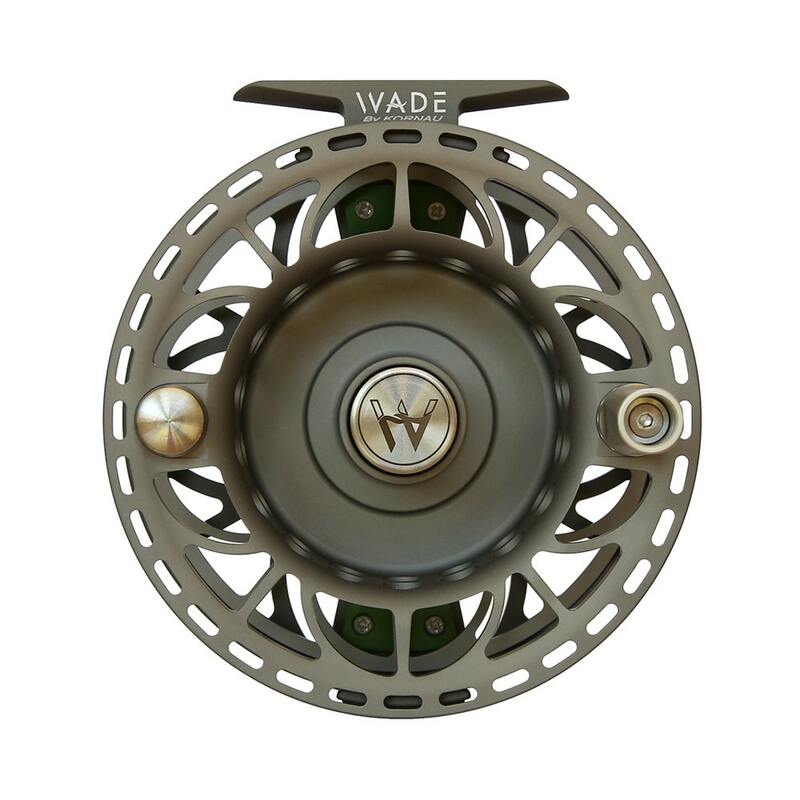 The Wade Chanos fly reel was designed for a 10 weight fly rod, which is an exceptionally versatile and demanding saltwater line weight that can be used for targeting a variety of species. You might use your 10 weight to target smaller laid up Tarpon or GT’s…but you know that once in a while you are going to hook a bigger fish that really was meant for a 12 weight. 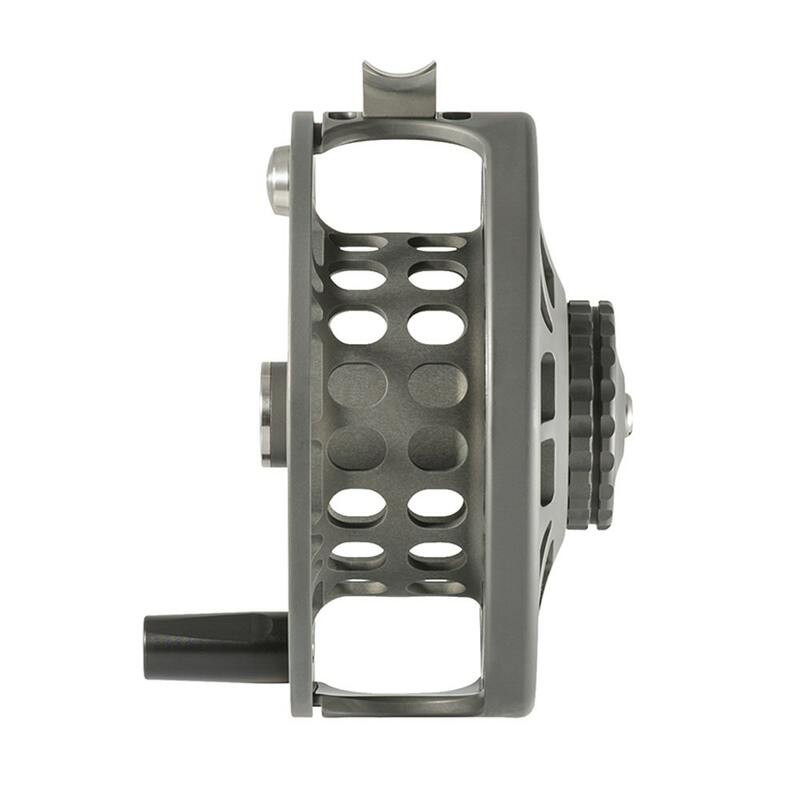 So you want to make sure that you have a drag system strong enough to stop hard running trophy sized fish. At other times you might target Long Tail Tuna and you’ll need to know that you have enough line capacity and a drag smooth enough to withstand those long runs. Or when the Permit are big and the flies heavy, you’ll need a drag delicate enough to protect light tippets when tussling with one of the most determined fighters, especially when it comes to handling those immensely powerful short bursts at the end of the fight. 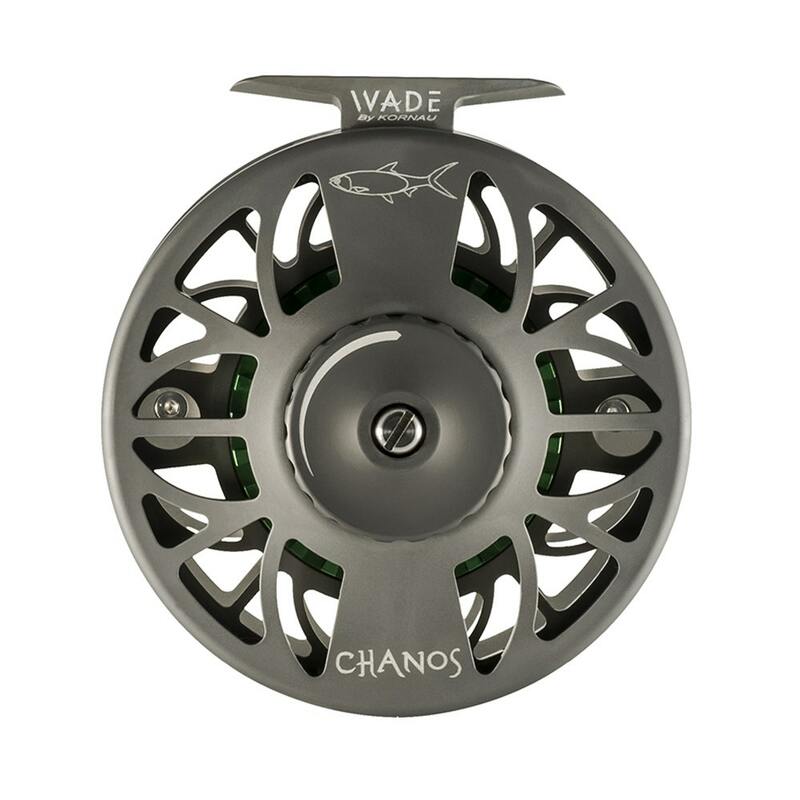 The Chanos has a massive 4,21inch diameter and holds a 10# line and 300yds 60lb GSP, yet weighs only 285grams.